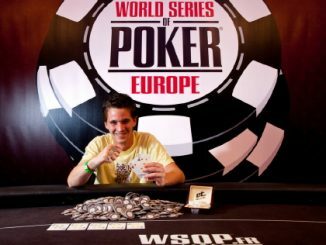 One of the most respected figures in online poker, Tristan Wade now has one of live poker’s most prestigious ticks against his name after winning the €3000 No Limit Hold’em Shootout at the 2011 edition of World Series of Poker Europe. The tournament attracted 258 entrants from more than two-dozen different nations. This was Wade’s first WSOP victory, his third final table appearance this year and 14th career cash in WSOP events. His best previous showing was a fourth place in the $10,000 Six-Handed World Championship, held earlier this year in Las Vegas. Wade collected €182,048 in prize money for this well-deserved victory, giving him combined lifetime earnings of more than USD $800,000 in WSOP events. Wade personifies the concept of gradually developing as a poker player one step at a time and consistently pushing himself to improve every aspect of his game. He has been a poker instructor at PocketFives and Deep Stacks University, and he also acknowledged 2+2 as an eminently helpful source to himself and other poker players. 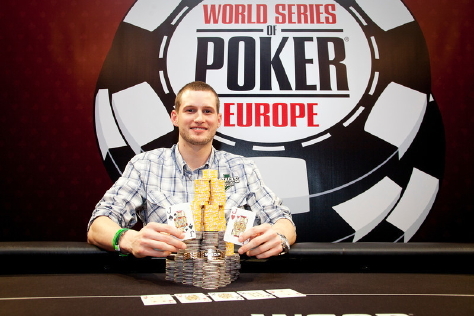 At 26, Wade is the oldest gold bracelet winner at 2011 WSOP Europe, through the first four events. The runner up was Michael Watson, from Toronto, Canada. He is a 27-year-old poker pro. Watson has a number of big finishes on his poker resume, including a win at the Bellagio Cup and a third place finish in the High Roller event at EPT London three years ago. This was his highest WSOP finish, which paid €112,526. Among the other players who made things interesting, but fell short of gold bracelet glory was Bertrand ElkY Grospellier. 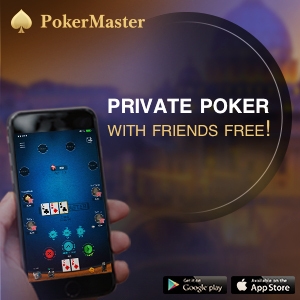 A Frenchman who now resides in London, he is the perfectly-packaged global poker superstar who finally won his first WSOP gold bracelet earlier this year in Las Vegas ($10,000 buy-in Seven-Card Stud World Championship). 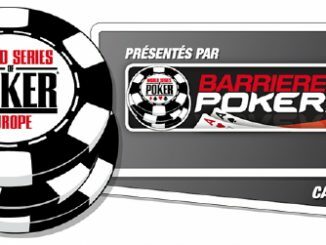 Grospellier finished fifth in this event, which somewhat illustrates the disappointing results of French players so far that this, the first-ever WSOP event held in France.